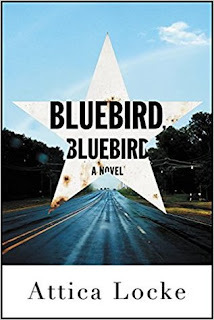 A powerful thriller about the explosive intersection of love, race, and justice from a writer and producer of the Emmy winning Fox TV show Empire.When it comes to law and order, East Texas plays by its own rules--a fact that Darren Mathews, a black Texas Ranger, knows all too well. Deeply ambivalent about growing up black in the lone star state, he was the first in his family to get as far away from Texas as he could. Until duty called him home. 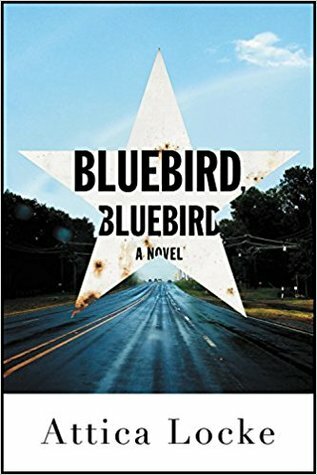 When his allegiance to his roots puts his job in jeopardy, he travels up Highway 59 to the small town of Lark, where two murders--a black lawyer from Chicago and a local white woman--have stirred up a hornet's nest of resentment. Darren must solve the crimes--and save himself in the process--before Lark's long-simmering racial fault lines erupt. This novel is packed with emotions, thick racial tensions and family dramas. I could almost imagine blues rifts playing in the background as the events in Lark, Texas unfolded. I could envision the town, the people, and feel the intense feeling of dread creeping up on me as the story unfolded. When Michael Wright, a black lawyer from Chicago, stops in the small East Texas town, he never makes it back home. His body was pulled out the nearby bayou, and his fancy car disappeared somewhere along the way. A very short time later, the body of Missy Dale, a local white woman is also found dead. The possibility does exist, considering how small this town is, that the two deaths are connected. Enter, Darren Matthews, a black Texas Ranger, currently on suspension, separated from his wife, in a full -on battle with a whiskey bottle. Darren is given permission to casually visit, sans his badge, Lark, Texas to get the lay of the land. There, he encounters a kindred spirit of sorts in Michael Wright’s widow, who is there to claim her husband’s body. Before long, Darren has slapped his badge back on and finds himself in the midst of a full blown murder investigation. The deaths seem to have a connection to Geneva Sweet, the owner of a local café. It would appear, that Michael Wright stopped by her place, asking some questions, right before he was murdered. Geneva’s past comes sharply into focus as Darren investigates Michael and Missy’s murders, amid rumors that the Aryan Brotherhood may have few contacts within Lark, meaning Missy's angry husband. I could not put this book down!! The mystery is compelling and very suspenseful, but it’s the lush writing, and deep characterizations that really made this novel stand out. Darren cuts quite a figure as a Texas Ranger, with his Stetson hat and boots, but his deep -seated sense of loyalty and all his personal baggage causes him to entertain all manner of self-recriminations, regrets, and self-doubt. But, the history of Lark, the beautiful descriptions of the area, and the musical homage goes a long way toward creating that dense atmosphere where racial hostilities simmer, threatening to boil over. The past will catch up with the present as old buried secrets surface and long overdue justice will finally be served. I really need Attica Locke to write a follow-up to this one, since Darren still has some serious issues to address. I’d love to see this turn into a series, or at the very least a trilogy. Either way, this author has left quite an impression on me. I’m ready to dive into her other novels, ASAP!! 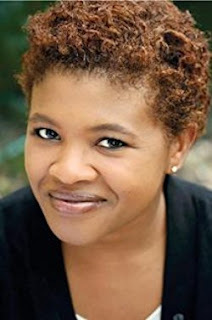 Attica Locke is the author of the widely acclaimed debut novel Black Water Rising, which was nominated for a Los Angeles Times Book Prize, an Edgar Award, and an NAACP Image Award, and was short-listed for the UK’s Orange Prize. As a screenwriter, Locke has produced scripts for Paramount, Warner Bros., Disney, Twentieth Century Fox, Jerry Bruckheimer Films, and HBO. She was a fellow at the Sundance Institute's Feature Filmmakers Lab and has served on the board of the Library Foundation of Los Angeles. A native of Houston, Texas, she lives in Los Angeles with her husband and daughter.